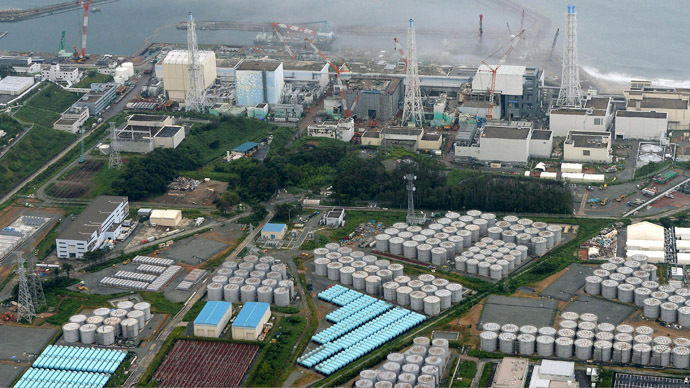 Excessive radiation levels have been detected next to the vast storage tanks containing the highly-contaminated water used to cool reactors at the damaged Fukushima power plant. One such tank already leaked earlier this week. 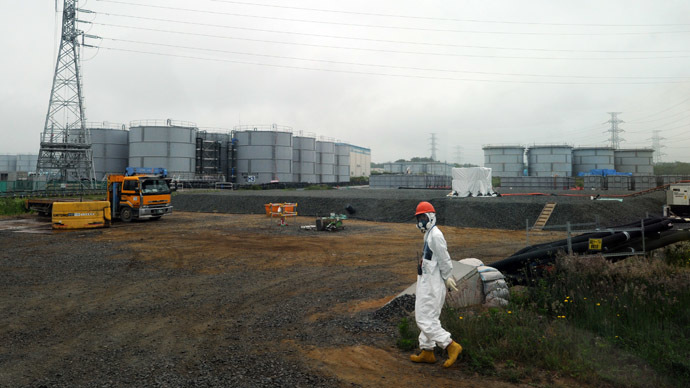 The announcement was made by Fukushima operator Tokyo Electric Power Co (TEPCO), which began to check its 300 storage tanks after 300 tons of contaminated water escaped from one of them on Wednesday. 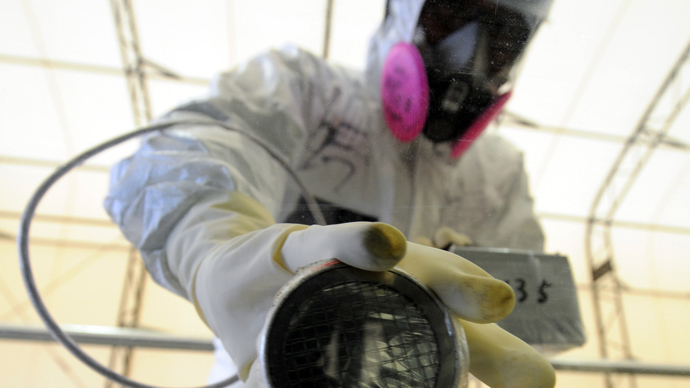 The contaminated water that leaked on Wednesday contains an unprecedented 80 million Becquerels of radiation per liter, according to the company. The norm is a mere 150 Bq. 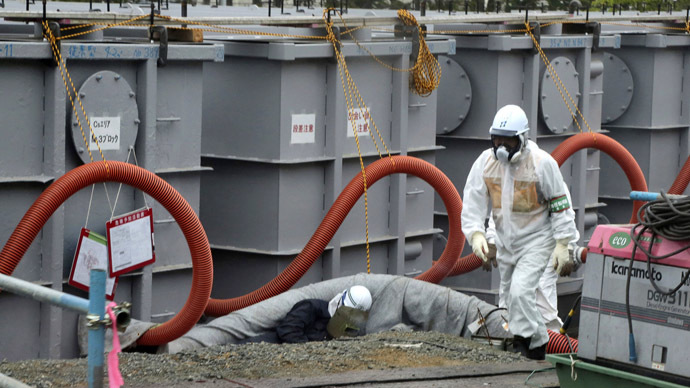 The puddle that formed around the damaged tank is emitting radiation of 100 Millisieverts per hour, as a probe has been taken about half a meter from the water, reported Kyodo News. 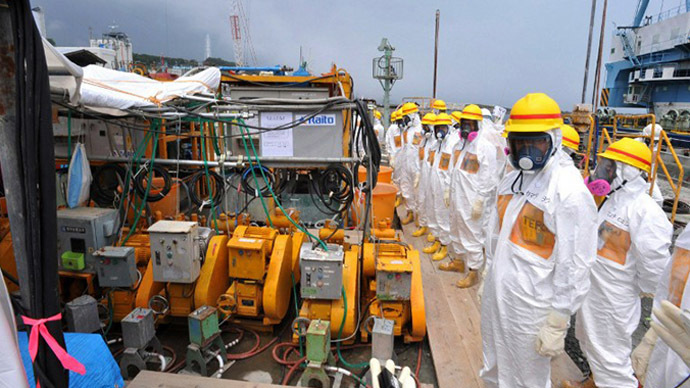 The traces of radioactivity were detected in a drainage stream. 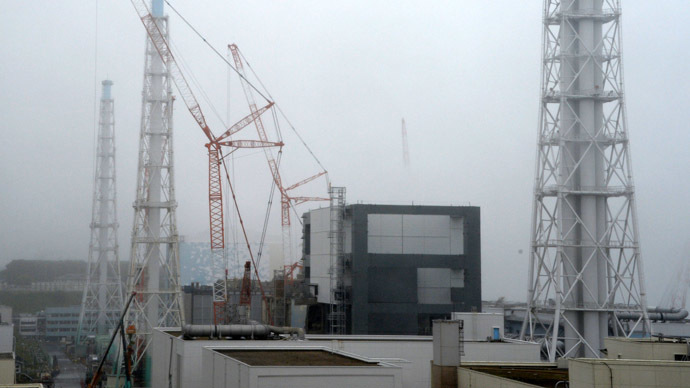 Japan’s Nuclear Regulation Authority (NRA) commissioners raised the severity of the latest Fukushima leak to Level Three, which is considered a ‘serious radiation incident’ on the International Nuclear Event Scale (INES) for radiological releases. The alert was raised from Level One, which indicates an ‘anomaly’. Level Seven is the most dangerous radiation status. 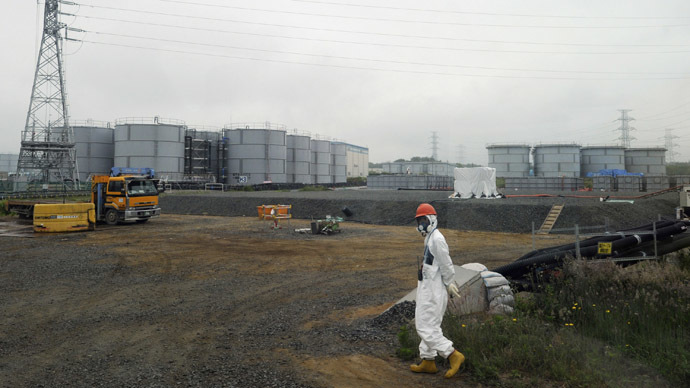 "Judging from the amount and the density of the radiation in the contaminated water that leaked ... a Level 3 assessment is appropriate," said the document used during Wednesday’s weekly meeting of the NRA. 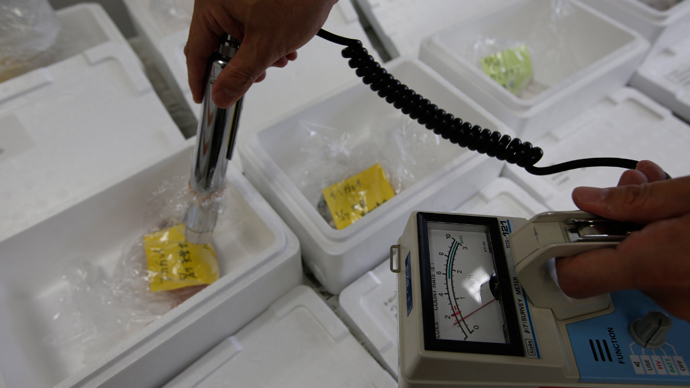 NRA Chairman Shunichi Tanaka on Wednesday voiced concern that there could be similar leaks from other containers. “We must carefully deal with the problem on the assumption that if one tank springs a leak the same thing can happen at other tanks,” he said. 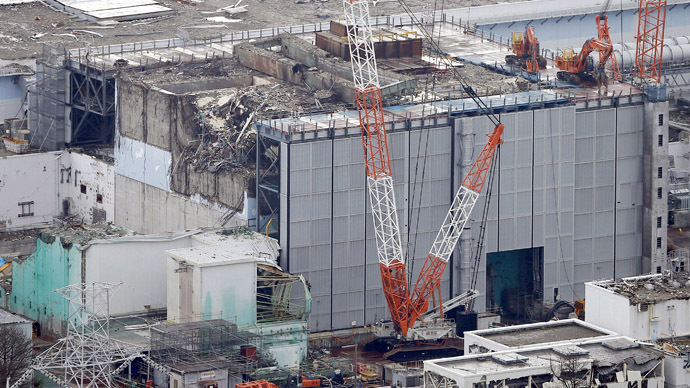 One of the main difficulties for TEPCO in handling the nuclear plant damaged in 2011 Tsunami is what to do with the water used to cool the reactor. The liquid is stored in some 1,000 tanks. 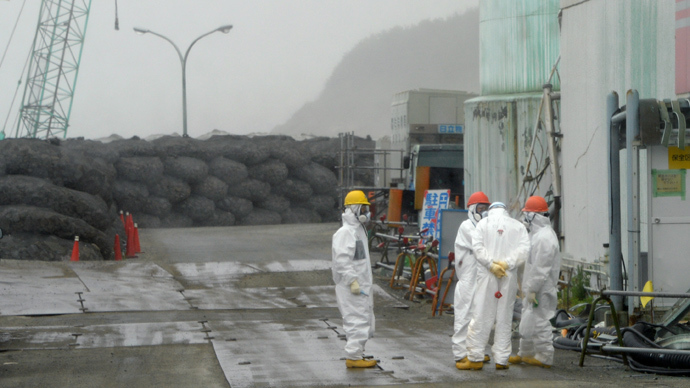 Since the melted cores of the three destroyed reactors have burnt through the concrete basement of the reactor zone, radioactive water is seeping into the surrounding soil. 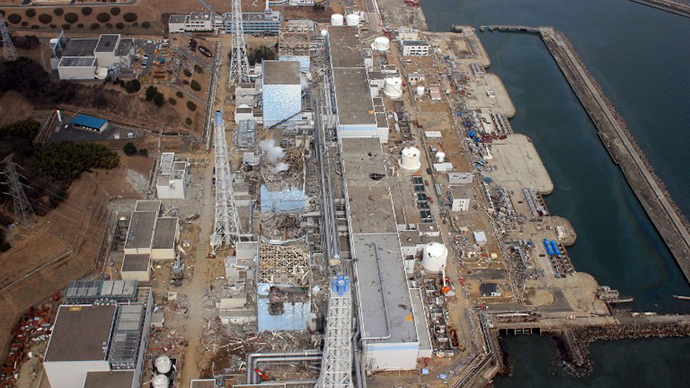 In July, TEPCO reported officially for the first time that the radioactive groundwater had been leaking outside the plant, which is located close to the Pacific coast.